You're all set! Confirm you want deals for Falls Insulation in -zip-? Since 1989, Falls Insulation has been serving customers in Oregon and Southwest Washington, offering friendly, expert service at affordable prices. 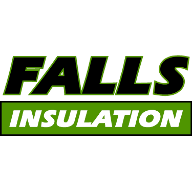 Falls Insulation is a full service Owen's Corning authorized dealer of insulation. We know our customers want their experience to be convenient and efficient. They also require a wide selection of services and knowledge about all aspects of insulation from us. To meet these needs, we provide our customers with the following services:* Commercial * New Construction * Multi Family Construction * New and Existing ResidentialOur goal has always been to provide our customers with the highest quality workmanship and service in commercial, multi family, and residential insulation service. We pride ourselves in our exceptional experience and service.We gladly offer free estimates for your next insulation project and willingly give sound advice when asked. Please call us today to find out why our customers feel warm all over when they remember our good service!